From its one-of-a-kind in-bed trunk to its SUV-like cabin, the 2018 Honda Ridgeline is a different sort of midsize truck. This ride works hard to serve its passengers as well as its owner's cargo needs. A powerful engine and excellent tow ratings speak to its serious utility side. Technologies reflect is the contemporary attitude toward transportation. Car and Driver have named it one of the 10 Best Trucks and SUVs of 2018. Determined to give you plenty of space, Honda engineers provided 109.7 cubic feet for passengers. Drivers enjoy a power chair with power-heat functions. Everyone can stay comfortable with a tri-zone climate system and dedicated rear ducts. The excellent noise insulation and the available acoustic windshield assure ride quality. The driver's monitor displays a tailgate-open warning and other vital information. You can choose between a five-inch and an eight-inch touchscreen. Bluetooth streaming audio is even more accessible with dozens of apps via the Apple CarPlay or Android Auto functions. HondaLink Services, Pandora, HD radio, and SMS text messaging round out the system. If you love music, you'll want the 540-watt premium system. Truck bed speakers provide entertainment at your tailgate party. If you want a premium truck, the Ridgeline offers upscale amenities. Open air driving is more relaxed with a power-slide rear window and a power-open moonroof. For extra utility, the split-folding rear bench lets you claim interior storage space. An under-seat storage bin gives you a secure place for small items. The in-bed trunk is a tight hold where you can store your luggage. For picnics and camping, you can use it as a cooler. Washing thanks to a convenient drain is easy. The Ridgeline doesn't bother with a four-cylinder engine. Instead, it has a severe V6 that can generate 280 horsepower and 262 lb.-ft. of torque. Drivers will appreciate the way it handles tough tows and big hills with ease. The Eco Assist system reduces waste at slow speeds, and the Variable Cylinder Management reduces waste during cruises. Unlike most midsize trucks, Ridgelines offer adaptive cruise control to regulate travel in slow-and-go situations. An active control engine mount system decreases the noise level in the cabin. Payload ratings are a substantial 1,465 pounds. The bed boasts eight heavy-duty cleats for tying down your load. 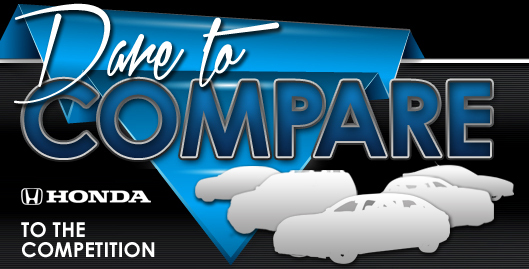 Tow ratings top out at 5,000 pounds, and every Ridgeline is ready with a tow hitch. Owners will appreciate the versatile tailgate which can flatten like the tailgate of a traditional truck or swing to the side like a gate. Having earned all five stars in crash tests, the Honda Ridgeline proved to the National Highway Traffic Safety Administration that it has the right stuff to keep passengers safe. 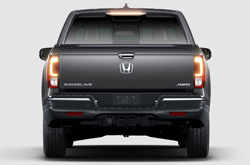 ** Honda Sensing systems help move the truck into the future of automotive safety watching the lane lines; a lane departure warning can trigger a lane assist. A warning system may trigger an auto brake while watching for collision dangers ahead. Exclusive to Honda's line-up, a road departure system may reduce speed or tug at the wheel to keep the truck on the road. You can also get a blind spot monitor to let you know when the coast is clear for lane changes. A rear cross-traffic alert complements the standard rearview camera. Drivers will appreciate the convenience of automatic high beams. The 2018 Honda Ridgeline is available now at Bell Honda. Take a test drive to discover what this truck can do for you.